Washington, D.C. – Congresswoman Julia Brownley (D-Westlake Village) today announced two amendments that she has offered to the Federal Aviation Administration (FAA) authorization bill (H.R. 4) that would help address airplane noise in Thousand Oaks. The bill is being debated in the House of Representatives this week. In 2017, the FAA completed implementation of the new Southern California (SoCal) Metroplex airspace redesign project, which includes new approach and departure procedures for airports throughout the area, including Los Angeles International Airport. The new consolidated flight paths cross over Ventura County with a different pattern than the prior flight paths. Since the new paths were implemented, many residents, especially those who live in neighborhoods with higher elevations, have expressed concerns about the increase in airplane noise. 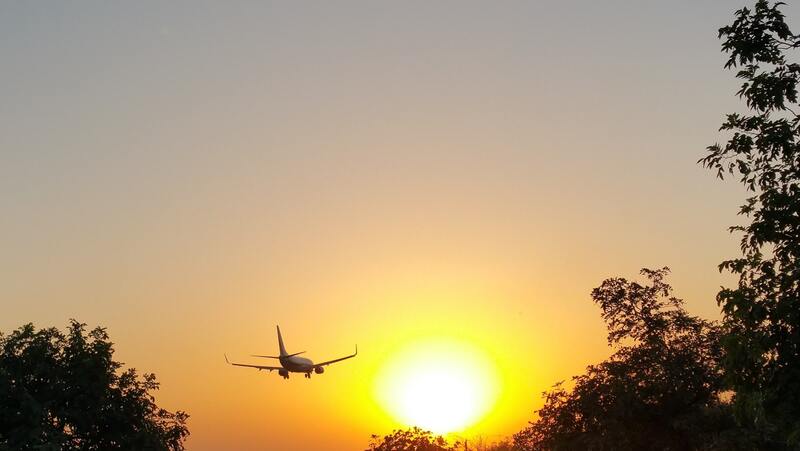 Upon hearing about these concerns, Congresswoman Brownley has repeatedly urged the FAA to meet with constituents to consider adjusting flight paths and altitudes to reduce noise on the ground. Her first amendment builds on the noise study in the bill by requiring the FAA Administrator to review the findings and consider modifications to minimize the impact of aircraft noise on communities near airports and along approved flight paths. The Administrator will also be required to consider the impacts of aircraft noise on areas where higher ground elevations increase noise impacts. Her second amendment requires the FAA to measure actual noise levels in communities along flight paths, including areas of higher elevations, for all areas where the FAA has approved a Metroplex redesign in the past five years. Like the first amendment, this amendment requires the FAA to consider modifications to minimize the impact of aircraft noise on communities near airports and along approved flight paths. Finally, the amendment requires FAA to issue a public report on actual noise measurements on the ground and steps it plans to take to reduce noise levels. Brownley submitted these amendments to the House Rules Committee, which is scheduled to meet on Tuesday evening. The Rules Committee – which is controlled by House Republicans – will determine if Brownley’s amendments will be debated and voted on by the full House. Brownley is a member of the Quiet Skies Caucus and has been coordinating her amendments with others submitted to the Rules Committee by Quiet Skies Caucus members. In total, the Quiet Skies Caucus has submitted dozens of amendments to the bill.